Do you give your health expert a lame excuse for not having any "healthy" snack options at your cafeteria, and so you end up munching on deep fried samosas, bajjis and chaats? 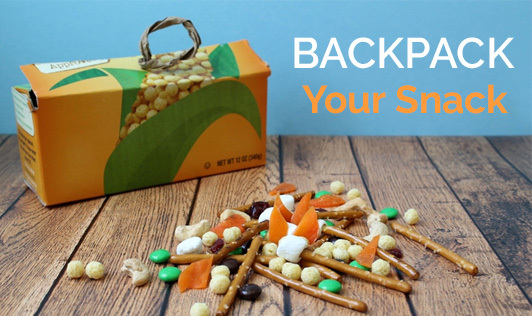 Here are a few choices to pack your own snack and indulge in healthy snacking. So, it is eleven in the morning and you are still an hour away from your lunch time, and your stomach is not really grumbling, but you are tempted to head towards the vending machine? Go ahead and take your break, but how about replacing your cup of coffee/tea with a cup of green tea? It is healthy, helps in weight loss, and keeps you fresh and going. Top it up with one or two wheat biscuits that you can carry in your backpack. Or is it a summer morning and you feel dehydrated, then how about carrying a bottle of coconut water or thin masala buttermilk. This can give you a good break from your coffee routines. Or is it post lunch, and you feel like indulging in some desserts and still not increase your calorie count? Then, keep a small packet of mixed dry fruit and nuts in your backpack or how about a small cup of yogurt with a fruit, like a fruit yogurt? Carry a fruit and have it after a couple of minutes post lunch so that you can increase the nutrients that your thaali meal gave. Do you want to indulge in some healthy snacks before those long travelling hours back home? How about carrying some refrigerated sprouts with some masala to wake up your taste buds? Do you want something to munch on till you get down from your bus? Then go for roasted channa/moong dal or chiwda or even a masala khakra! Popcorn or a brown bread toast/sandwich can also be a very interesting snack. Indulging in healthy eating doesn't mean spending a longer time in the kitchen, but it's all about choosing and packing wise foods that are already there in your kitchen counter.